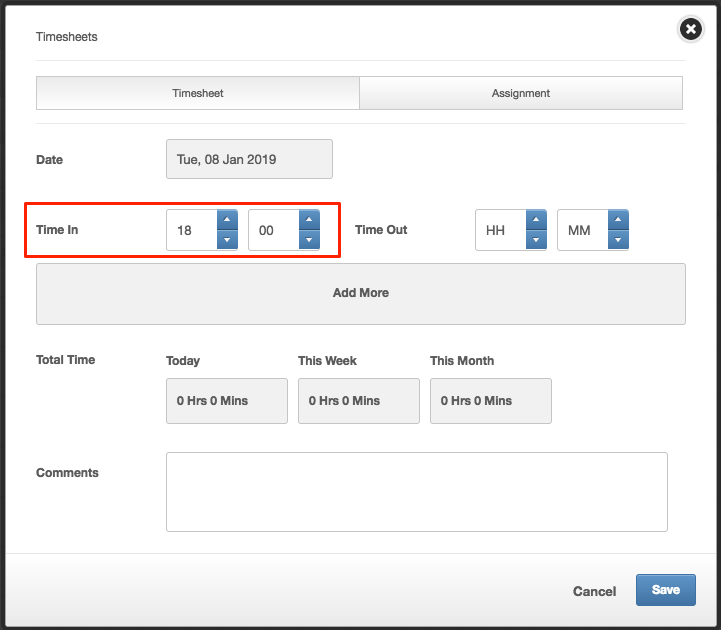 How to log a timesheet that starts on one day and ends on the next. 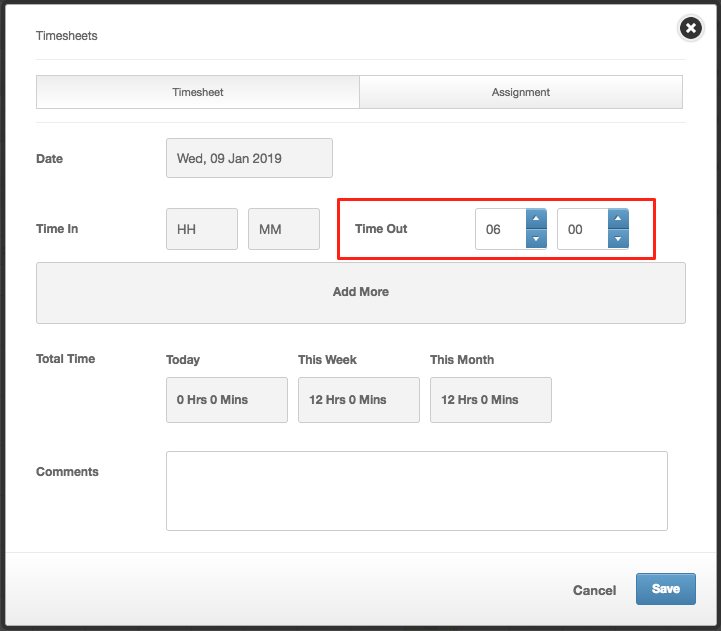 When logging a timesheet that goes past midnight, the 'clock in' should be added on the first day and the 'clock out' on the next. 6. 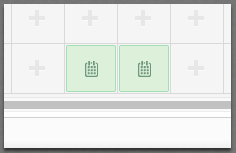 Click Save - the alert will now disappear as you have clocked out from your shift.